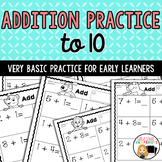 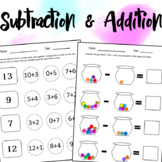 This is a simple worksheet to help students recognize the connection between subtraction and addition. 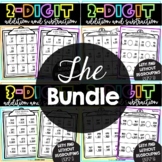 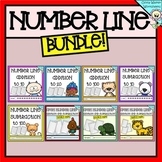 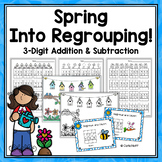 This brings together subtraction and addition using number bonds and fact family correlations. 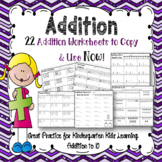 This worksheet can be used as an entry point, exit slip, homework, or quick review for checking subtraction problems with addition. 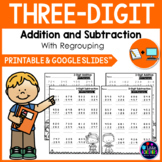 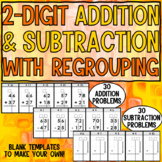 Created for elementary age students, 4 pages of addition and subtraction problems set up in a grid with boxes for "regrouping"/"carrying"/"borrowing." 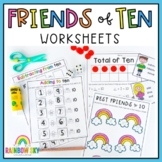 The grid format helps students keep their columns lined up, and the boxes will aid them in remembering to "carry" or "borrow" tens. 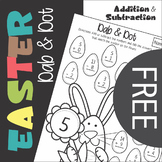 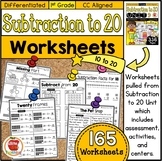 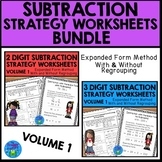 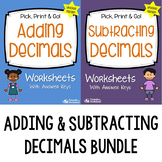 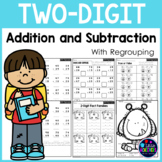 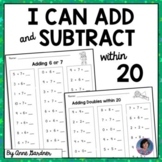 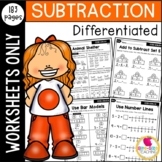 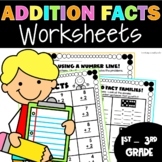 Addition and Subtraction to 20 Worksheets: Highlight It!